Sometimes I look at this photo and think, What tha hell is wrong wit choo? Other times it's, I'm glad there's something wrong with you. 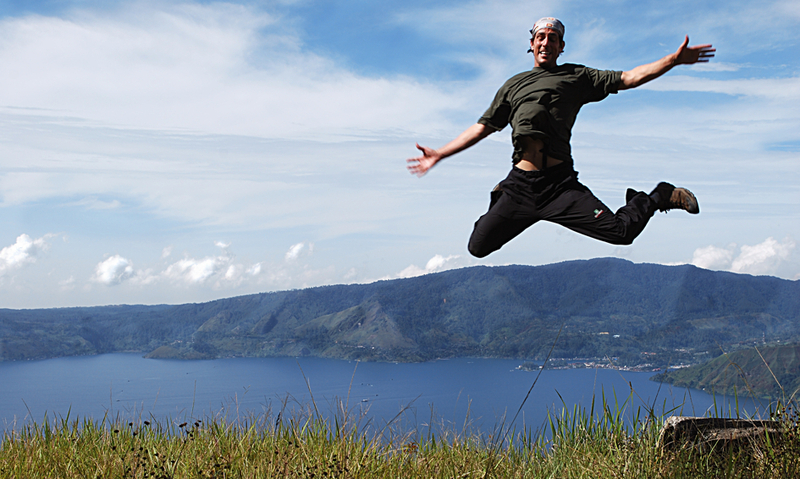 Am I ridiculous for spending hours alone on a hill top overlooking Lake Toba on the island of Sumatra flinging myself off a rock in search of an ideal photo de catapult? I am not. Why? Because I spent hours alone on a hill top overlooking Lake Toba on the island of Sumatra flinging myself off a rock in search of an ideal photo de catapult. On an unrelated subject, never underestimate an individual's desire for convenient self-rationalizations. If memory serves I believe a leprechaun told me that.